Experience Downtown Las Vegas the way it was meant to be -- in neon! This 90-minute tour will take you around Downtown Las Vegas at nighttime when the sky and the signs are both blazing with color! Your tour will begin in Downtown Las Vegas at 6:30pm (time may vary due to dusk hour). Las Vegas comes alive at night on this fun Segway tour of Fremont Street and its surroundings. After a short training session, head off and see the sights that made this glittering town famous! From fascinating mob history to the more recent additions such as Downtown Container Park, Vegas offers more than ever, which you'll find out on this informative & exciting tour. 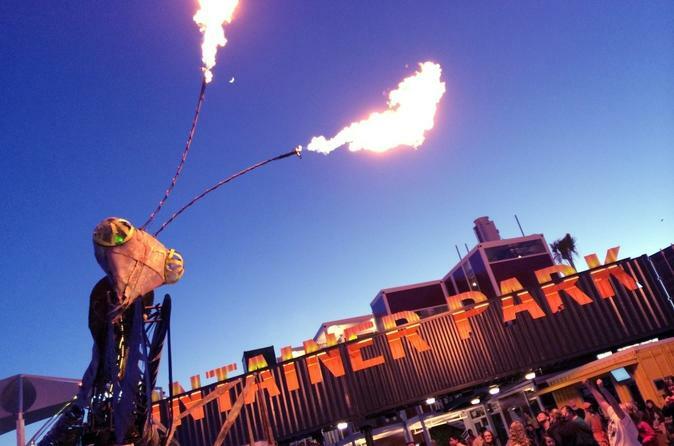 Take in the show of the Fremont Street Experience, and catch the fiery one-of-a-kind Container Park mantis! With so much more & neon galore, this has been our most popular tour! Bottled water is available throughout your tour.